A practical and stylish Corner Unit that would fit perfectly within any room of your home. 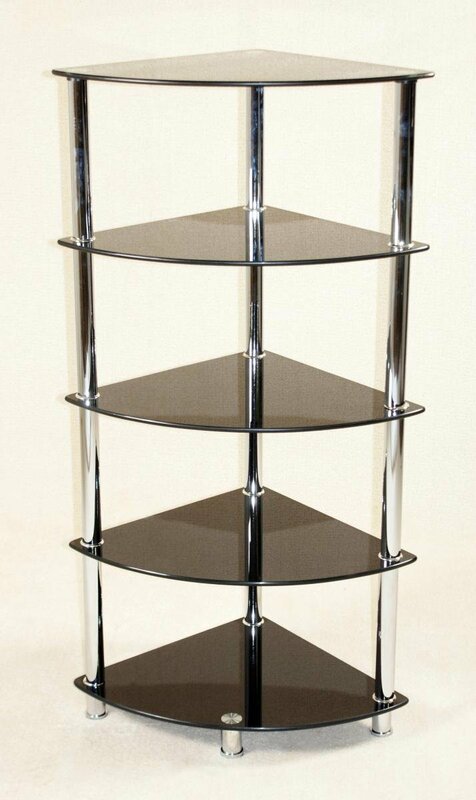 Five shelves offering plenty of storage space, make of chic Clear Glass and supported by beautiful silver legs, this Corner Unit is the perfect answer to storage. Also available with Clear Glass for a more modern style.